Live stream info: Palarong Pambansa 2016 - Balita Boss! 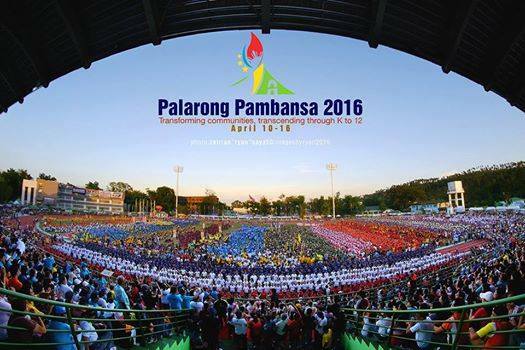 The 2016 Palarong Pambansa will take place from April 10-16 in Legazpi City, Albay, featuring athletes from 18 regions competing in 21 sports discipline, regular sports and special events. ABS-CBN Sports + Action will broadcast the 59th edition of the Palarong Pambansa, an annual multi-sporting event for Filipino student-athletes.